Mrs Rao: My child is just two years old. It looks like she has a squint. Is it really such a big deal? Isn’t it just a cosmetic problem? Doctor: Squint basically refers to misalignment of the eyes. When this happens, there is a difference in the quality of images formed in both the eyes. The eye which is straight always has a clearer image as the image forms on the sharpest point on the back part or the film of the eye called the retina. While in a deviated eye the image forms on a point away from the most sensitive point on the film of the eye. This leads to rivalry of the images formed between the two eyes which do not overlap and initially leads to double vision called diplopia. Gradually the brain then starts ignoring the poorer quality image from the squinting eye leading to decrease in vision in the squinting eye. Mrs Rao: You mean her sight is also getting affected? Doctor: We as humans are privileged to use both our eyes together, called binocular vision. This simply means that the brain integrates the images from both the eyes into a single image giving superior quality of vision as well as depth perception. 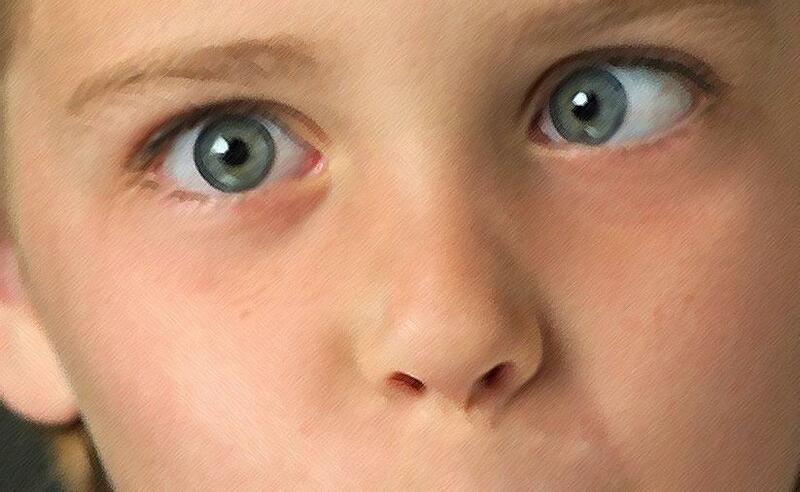 This functional advantage is lost in kids having squint, as they lose the ability to use both their eyes together. They can use only one eye at a time. 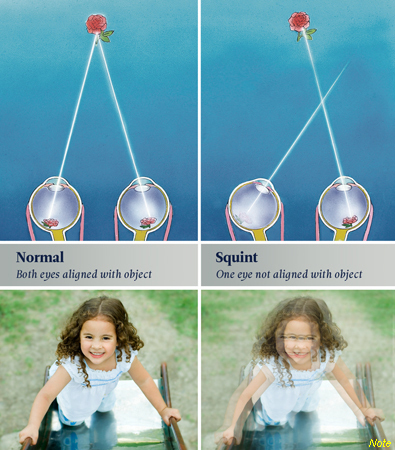 Hence, squint needs to be managed at the earliest possible age, so that the child`s vision and binocularity can be restored. Mrs Rao: But my daughter is just two years old. Isn’t she too young for surgery? Doctor: The reason why squint needs to be managed at a younger age is that, this is the age when the vision and brain both are developing. The visual system can be remodelled due to the plasticity of the system. This advantage is lost, and the functional benefits reduce as the child grows older. The general way in which squint is managed is that if the vision of the squinting eye is less, it is first improved by treating for the lazy eye. Once that is done, the child needs to undergo squint surgery as soon as possible. Mrs. Rao: Would my child be required to be admitted for many days for the surgery? Doctor: The techniques of squint surgery have evolved over the years to make it a day care procedure where in the child can be operated in the morning and can be sent home in the afternoon. Also, with the advent of suture less squint surgery the post-operative discomfort is reduced to a minimum. The advances and safety in paediatric anaesthesia ensure that the child has a speedy recovery with reduced chances of postoperative nausea and vomiting. Do you have any such queries that you always wanted to ask an eye specialist, but didn't know how? Do feel free to write in to us, for authentic advice from the best eye doctors in Vashi, Sanpada, Nerul, Kharghar, Koparkhairane and Panvel.